The Samsung Galaxy Ace Duos Manual is available now. The user guide comes in pdf format with file size of 5.3 MB. The Samsung SCH-I589 is powered by 800Mhz processor, Qualcomm MSM7627 chipset and applied Android 2.3 Gingerbread operating system. It has 3.5-inches HVGA TFT capacitive touch screen, 320 x 480 pixels resolution. This smartphone equipped with 3.15MP. FOr connectivity using Bluetooth 3.0, Full Speed USB 2.0, 802.11 b/g/n WLAN Wi-Fi, GPS. This mobile phone powered by 1,650mAh Li-ion standard battery capacity. 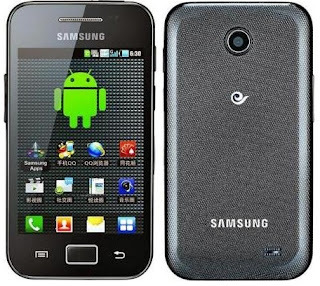 The Samsung Galaxy Ace Duos user manual provide detail reference information such as setting guide, tips, tutorial also troubleshooting problem. For example about tutorial Install the SIM or UIM card and battery, Insert a memory card, Use the touch screen, Lock or unlock the touch screen and keys, Synchronise data, using Google mail, social hub, camera, FM radio, internet, maps, latitude, samsung apps, blueototh, wi-fi, GPS, VPN setting, thinkfree office, Googel search,phone setting guide like call and display ssetting, locatioan and security setting, and problem solving or troubleshooting problem.